Safe Routes to School: Can You Help? At FABB’s October meeting we were treated to a presentation by Sally Smallwood, the county’s Safe Routes to Schools (SRTS) Coordinator. She gave a brief rundown on the program’s efforts, including the encouragement of daily commuting to school where appropriate by walking or biking, promoting special events (Bike/Walk to School Day and monthly or weekly walks), and teaching students to ride along with beginning bicycle maintenance skills. Aided by donations and grants, the program has purchased and placed bicycles at 23 county elementary and middle schools. 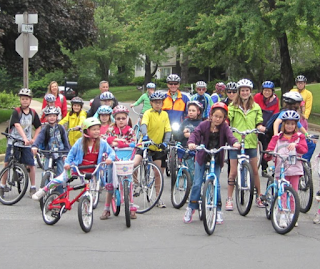 Each school gets 35 to 50 bikes with 4 to 6 striders, 40 to 50 helmets, and a storage shed. The program also has two traveling fleets of bikes (one for elementary schools with 40 bikes and one for middle schools with 30 bikes) that it moves between schools for bike instruction during the school’s physical education class. According to Sally, in her experience, about twenty percent of the kids do not know how to ride a bike. Another part of the program involves instructing teachers on the SRTS curriculum along with maintenance skills. Eighty Fairfax County Public School teachers were trained in August, but the course is limited to two hours. SRTS is looking for volunteers to create bike clubs at the schools to teach bike maintenance and to help maintain the schools’ bikes. The program provides tool boxes and supplies to schools with bikes. In addition, grants fund more demanding repairs at local bike shops. Volunteers to help “triage” bikes for repairs and to help winterize the bikes when they go into storage later this year would be extremely helpful for the program and the kids. SRTS accepts donated kid’s bikes and occasionally gets discarded but working bikes from the I-66 Waste Station and abandoned bikes collected by FCDOT. 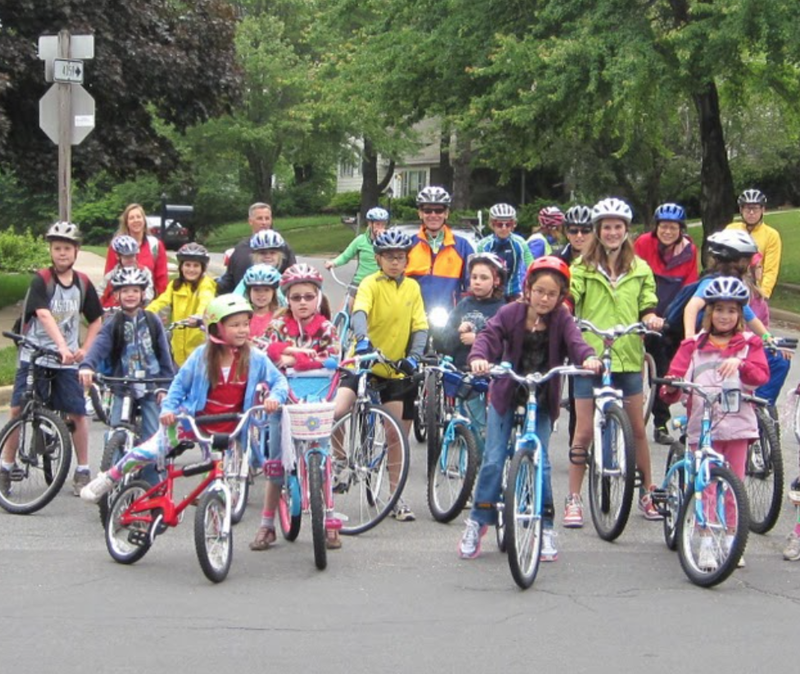 If you are interested in volunteering or donating a child's bike, please send Sally an email here: SafeRoutestoSchool@fcps.edu. The attendees gave Sally a round of applause in appreciation for all she has done to make Fairfax County’s SRTS program one of the best in the country. Our next meeting is scheduled for October 17, 2018, at the Sherwood Regional Library, Alexandria, and will be the twice-postponed Mount Vernon and Lee Districts meeting.